America, land of the free and home to an overabundance of fast-casual restaurants, loves spending minimal amounts of legal tender on a party. 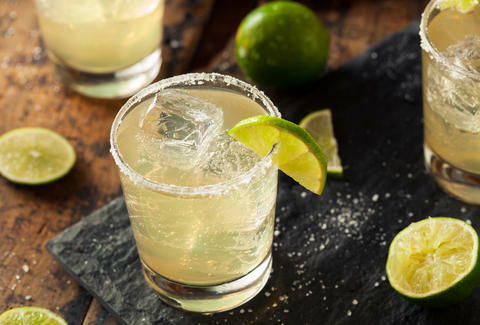 And while you might think of an airport TGI Friday's as the worst place to hunt for stupidly cheap libations, just know that Applebee's has a deal on offer for the entire month of October that will be hard to pass up: $1 margaritas. Yes, your friendly neighborhood purveyor of all things breaded, battered, and fried once more is serving up Dollaritas across the country for a total of 31 days as part of the restaurant's "Neighborhood Appreciation Month." Doing the math, it's not hard see how Applebee's is rendering your local dive bar a money pit. "Our $1 margaritas in October give us a chance to show our guests a little love, giving them a totally unbeatable offer as a gesture of our sincere appreciation for their patronage," he said in a press release. In terms of the fast-casual dining scene, this is welcome news in an otherwise bumpy month for one of Applebee's main competitors, Chili's, which recently axed 40% of its menu to help improve its staple dishes. And since no portion of Chili's menu revamp included a selection of margaritas served for $1, you probably know where you'll be heading for the foreseeable month-long future.